Are you an AIR MILES collector? Right now, the company’s website is promoting downloads of their iOS app for iPhone and iPad by offering 25 bonus reward miles to those who install it. The fine print says the offer is valid from Jan. 13 to Feb. 14, 2014. 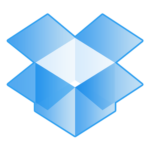 All you have to do is download the latest version 2.7 and log into your account. After that, you should see 25 bonus miles in your account within 4-6 weeks. For those unaware, by going through airmilesshops.ca before you shop online from Apple.ca, you can earn 1 reward mile for every $20 spent (excluding taxes and shipping). The same offer is available from Aeroplan as well. 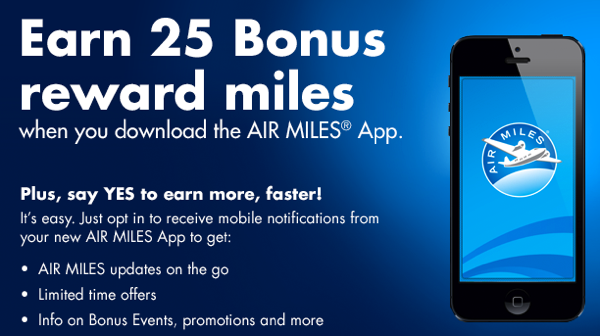 Click here to download the AIR MILES iOS app—it’s free.